The HelpSpot app now supports image uploads. This means that you can upload an image from your gallery or snap a photo right inside the app and upload it to a request. This will come in very handy for service organizations that need to document maintenance, note serial numbers or upload document images. Image uploads are integrated right into the request update interface. You can now view images and attachments that customers send you right on your device. Image attachments will be displayed inline and attachments will be opened by the app assigned to handle the file type sent. Custom fields can now be viewed on each HelpSpot request. 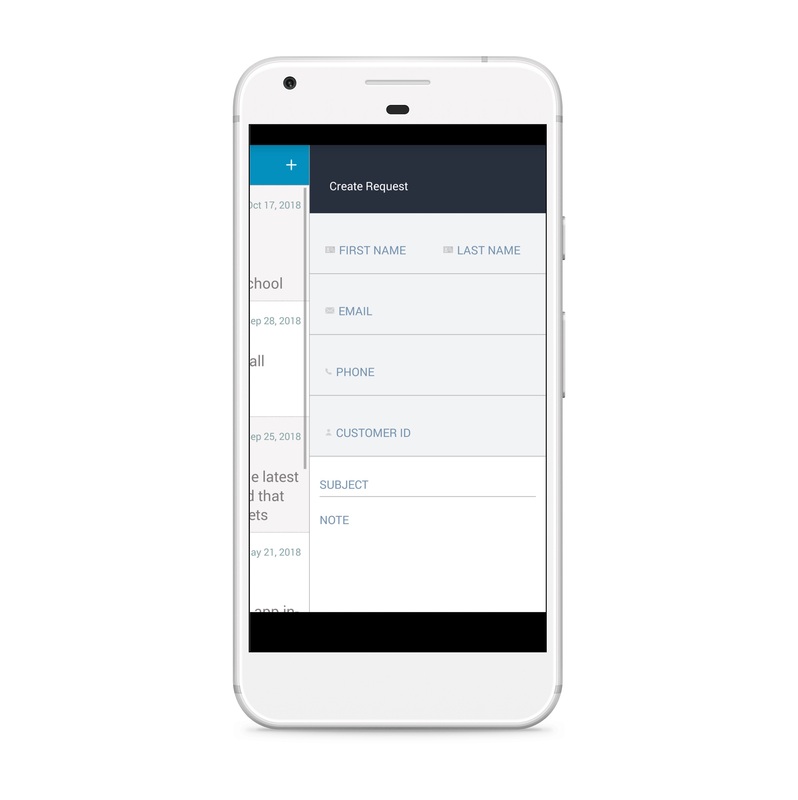 Just tap the “more” button next to the category display and view all of the custom field data associated with that request. The customer details display now allows you to view and edit all of the standard customer fields including First Name, Last Name, Customer ID, Phone and Email. 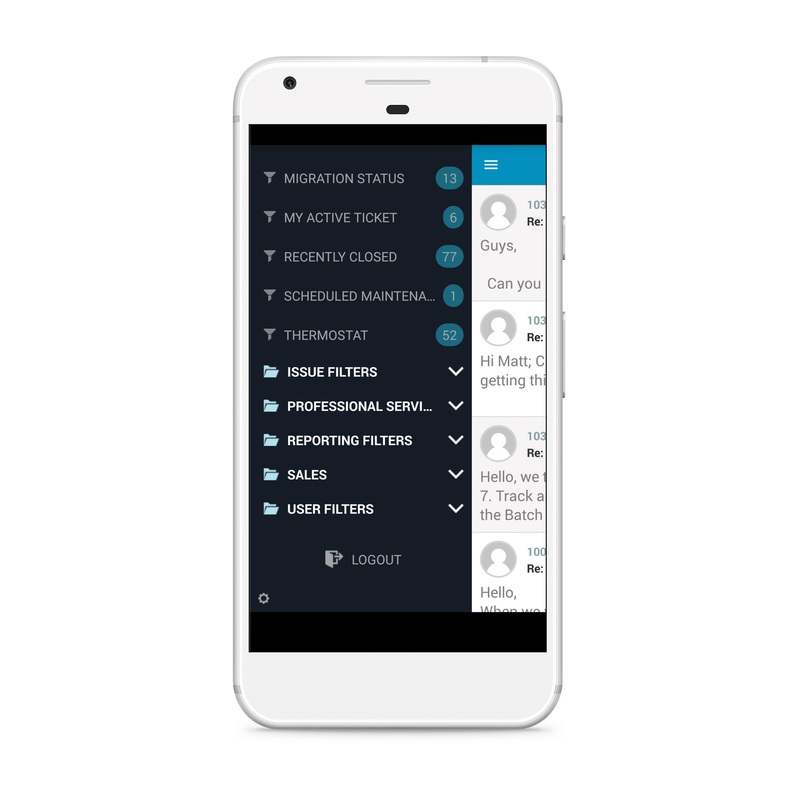 The phone field also allows you to call a customer simply by tapping on their number. The menu now displays filters organized by folder just like on the desktop. This makes it easier than ever to find the view you are looking for. Both the iOS and Android versions of the HelpSpot app now support deep linking which allows web links structured as helpspot://?request=xxxxx to open the app and take you directly to a request id. This can be integrated with notification emails or other notification channels. 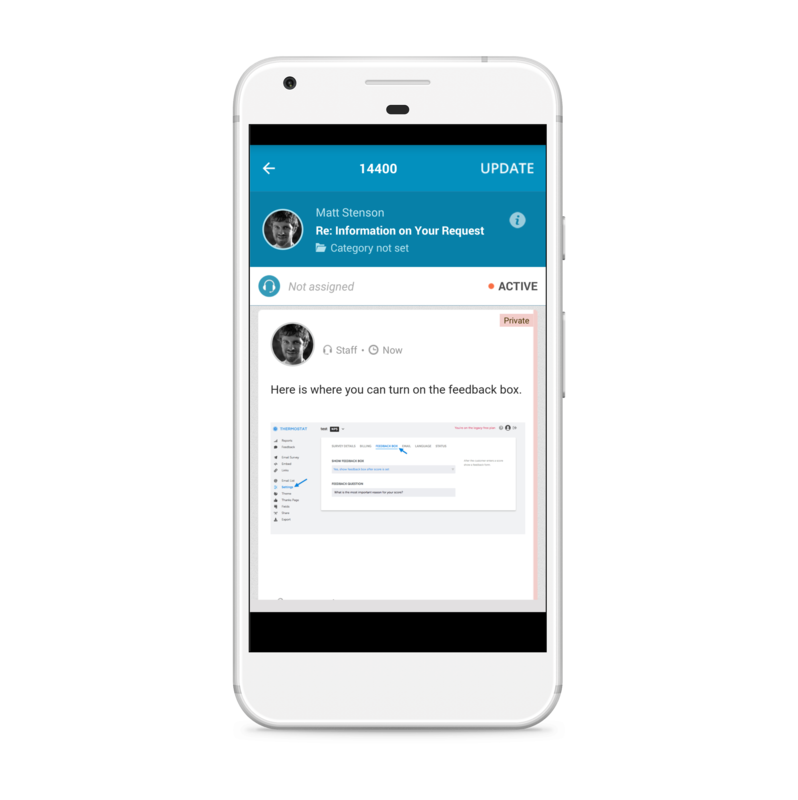 HelpSpot also now ships with a template tag, ##MOBILELINK##, to support automatically adding this link format to notifications. When you select on the desktop to have new replies default to either public or private, that setting now transfers over to mobile too. No more surprises when replying! 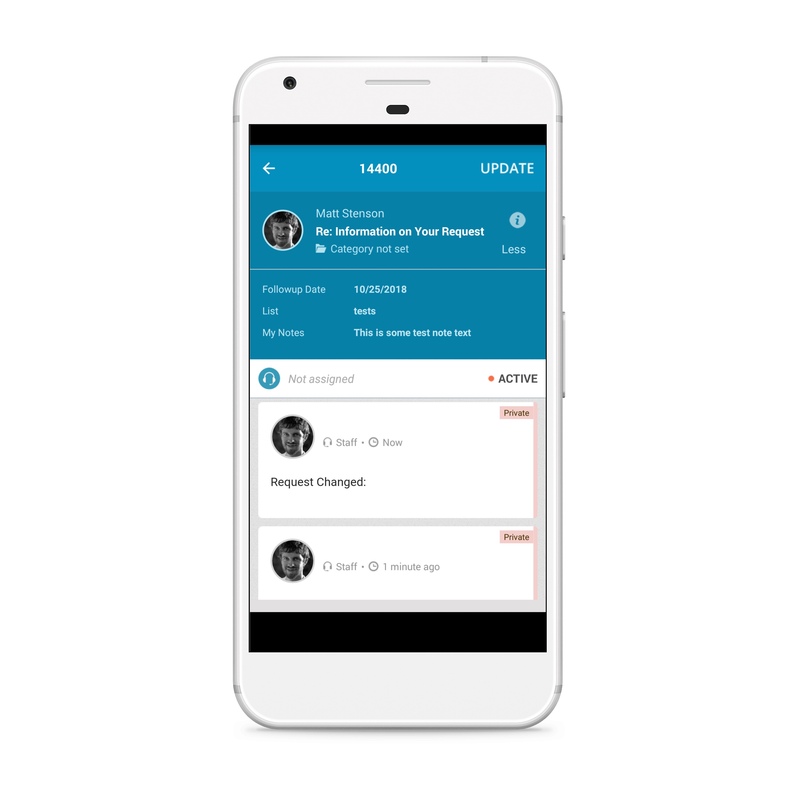 Download the HelpSpot Mobile app today and get started using these new features.